Microsoft WinDays is the biggest ICT Bussiness conference in South East Europe. Every year more than 1,500 experts in the field participate in more than 150 panels and discussions. Preparations for the conference start very early, 6-9 months before the event. Because of that, marketing team started planning their activities 6 months before the conference. 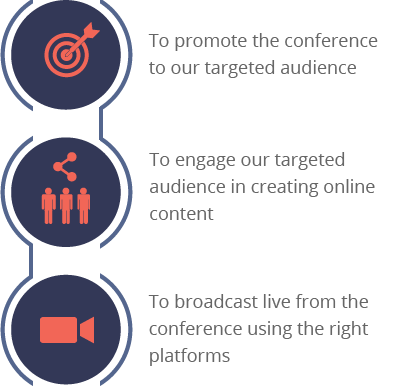 Our team has been in charge of online communication of the conference for two years. We estimated that our targeted audience could be easily engaged on Facebook and Twitter. Alongside with social media, we decided to use content marketing as one of our main ‘weapons.’ So, we started blogging news in the industry, interviewing the participants and researched the conference itself. We shouldn’t forget to mention that our team had a little help from four Microsoft Student Partners. 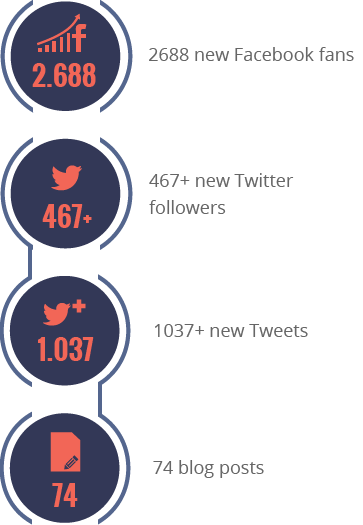 We conducted two campaigns during the 6-month period, and within that period we noticed a significant increase of fans and followers. Web traffic also increased noticeably because of our blog posts as well as Facebook advertising.